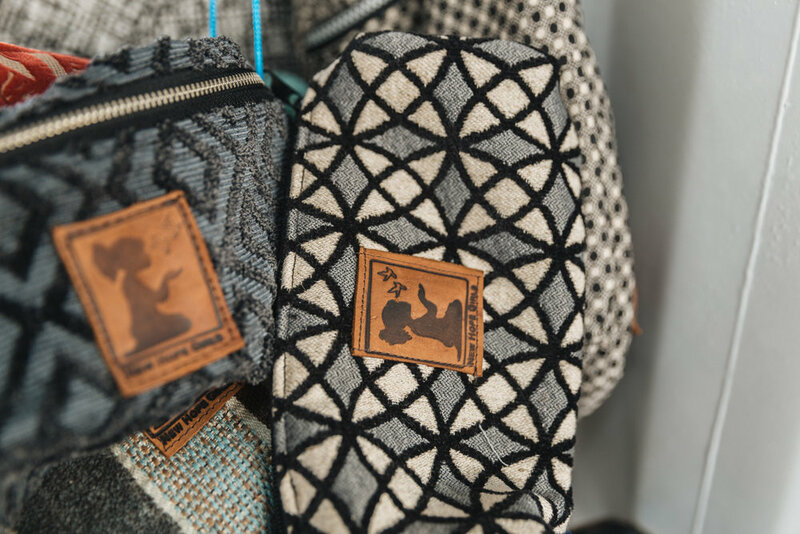 Our workshop is so much more than just the place where our New Hope Girls product is produced. We saw a need when we first started New Hope Girls. As we grew in our relationships with women from the barrio we saw an obvious need for these moms to be able to provide for their families with honor and dignity. We saw an opportunity to break the cycle of vulnerability starting with women. Our beginnings were more than humble as we started beading flip flops in our friend’s unfinished shed. 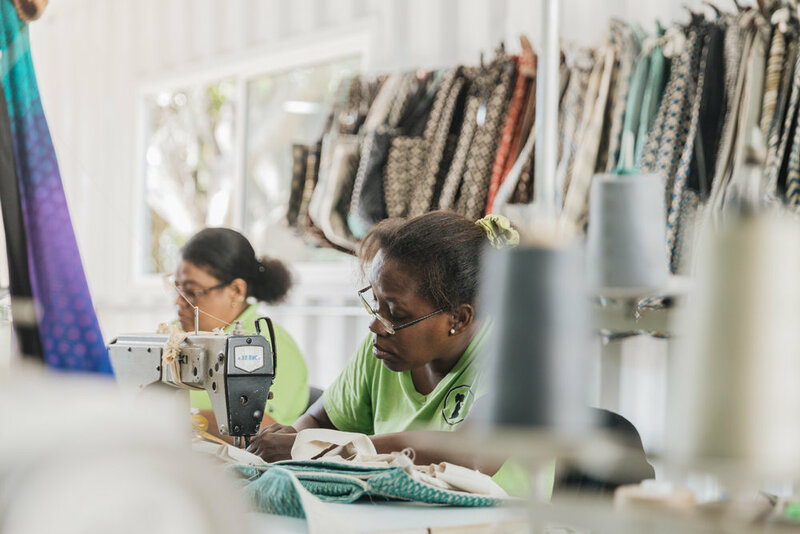 We stand in awe as we now have a full production facility operating out of renovated shipping containers, equipped with industrial machines and an assembly line of women each with her own transformation story to share. Since our very beginning, a facility of our own was something we prayed for and dreamed of. In 2016 we were able to realize that dream with the help of Vera Bradley! We began the plans of renovating shipping containers and making them a workshop of our own. In 2017 we inaugurated the facility together, fully equipped with industrial sewing machines. We were left weeping with gratitude. Since having our very own workshop, it has become a sacred space for our women to come and grow not only as artisans but also as individuals who are in their own process of transformation and beauty. Our bags provide for our girls and women in various ways. First, our women are employed and paid a fair wage for all the hours they give to crafting these beautiful bags in our workshop. Second, the proceeds from each New Hope Girls product that is sold is funneled back into our organization, providing holistically for our girls from the education they receive to the food on our tables each morning, afternoon and night and everything in between. We are determined to expand our facility, hire more women, and produce more bags than ever before as we continue step into more as an organization. We recognize that growth and expansion of our existing efforts will allow us to serve more girls, employ more women, and sell more bags. If you want to become part of our story and learn of the various opportunities you have to partner with us please click the link below.